business and offering a seamless navigation. 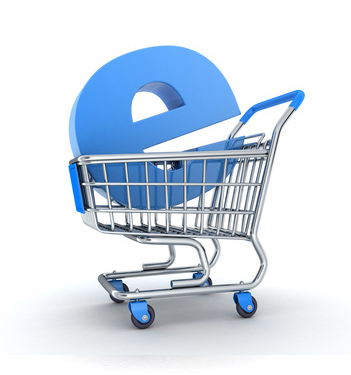 Ecommerce is buying or selling products online. Q.What is an online store? It’s like a virtual shopping store that showcases merchant’s products which customers can look through and buy online. Q.What are the benefits of an online store to the buyers? Q.Can I manage the online store myself? Yes, we provide you with a user friendly content management system (backend panel); where you can manage product categories, products, pricing and other details. Q.Is there a limit to the number of products I can add to my online store? No, you can add as many products and categories as you wish to depending on the available storage space on your hosted server. Q.How do I accept payment on the website? Yes, you can accept payments on your website. There are many payment options available through credit card, debit card, cheque or bank transfer. Q.What is a payment gateway? Payment Gateway is a service that processes and authorises payments received by online retailers via credit card, debit card, bank transfer and other ways of online payments. You need a secure payment gateway to gain the trust of customers using your online store. Q.How many different kinds of payment gateways are there? Pay Pal, Secure Pay, E-way are some of the most popular payment gateways that we integrate with online stores. While Pay Pal is a third party (external) payment gateway, Secure Pay and Easy way are integrated gateways which means that the customer is not redirected to a third party payment portal(as in case of PayPal and other external gateways). Q.How do I attract more buyers to visit my online store? Use promotional marketing tactics like coupons, offers and discounts to attract more customers. You may also use other online marketing strategies like email marketing, Search Engine Optimisation, Pay Per Click and social media marketing to attract more visitors to your e-commerce website. Q.Can I reach out to mobile customers as well? Yes, you can target mobile customers by creating a mobile optimised online store. You may create a dedicated mobile e-commerce website to attract mobile users. Mobile websites are thumb friendly for easy navigation and quick to load. Q.What about the delivery options? You can have different delivery options depending on the location and size of the product. You can allow customers to opt for express shipping i.e. delivery within a specified time.